This course covers Basic Life Support skills and includes skills for Adult, Child and Infant as well as healthcare variations on infant CPR. The course includes Safety, precautions, initial assessment, recovery position, CPR, compression-only CPR, CPR handover and choking. 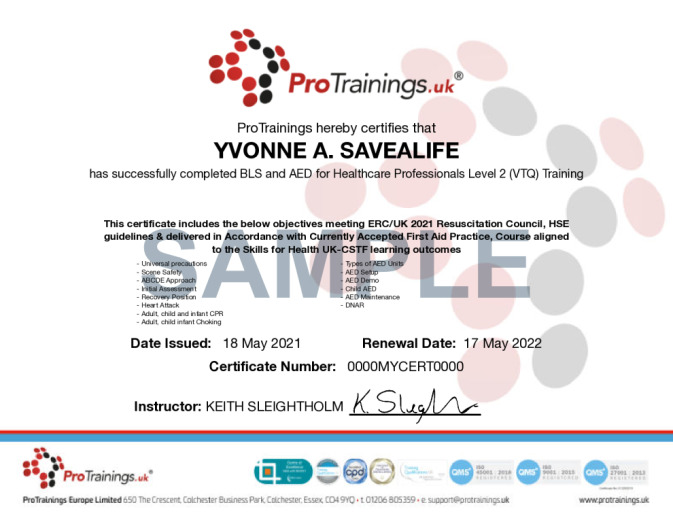 This is ideal for nurses, care workers or medical professionals needing annual updates to complete professional membership. 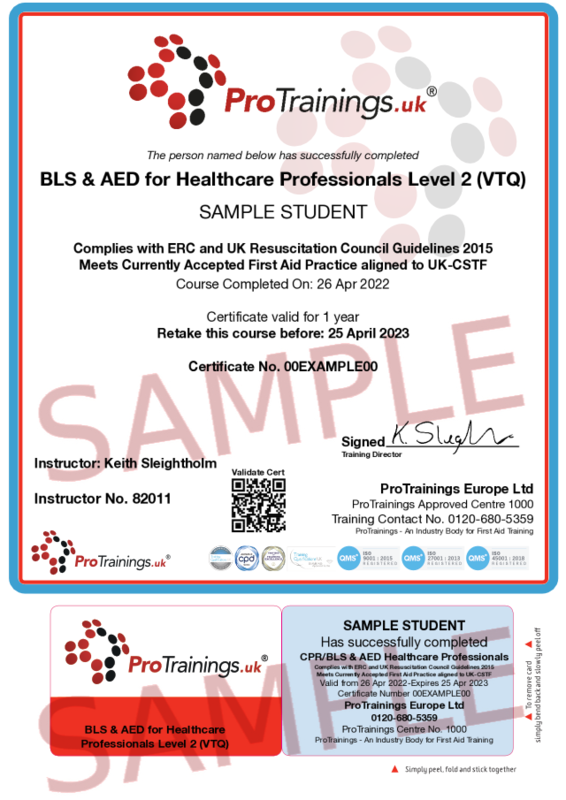 In most cases, this course is ideal as an online-only course but if you need a practical session as well we have a network of approved instructors where we can offer the course as blended including a short practical session. This course comes with 4.0 hrs (5.0 class) of CPD, although the time to complete the course online may be less than this. Total course time includes 2 hours and 48 minutes of video training as well as knowledge reviews, final test, remedial help and reviewing downloaded material.